This blog is part of a series organized by The Huffington Post and the NGO alliance InterAction around the London 2012 Olympics. Every year, the 3rd of December marks the International Day of People with Disabilities (IDPWD). This day is meant to recognize the achievements of people with disabilities (PWDs), promote a positive image of PWDs in order to break the stigma and marginalization they face, and bring local communities together in activities that build mutual understanding and awareness for disability inclusion. According to the World Health Organization, one out of every five people living below the $1.25 extreme poverty line has a disability. Indeed, poverty and disability are inextricably linked and are often both a cause and consequence of one another. Poverty can lead to disability through malnourishment, poor access to health services, inadequate sanitation, and unsafe living and working conditions. Conversely, having a disability can trap an individual in poverty by limiting his or her access to education, employment, public services, and even marriage. PWDs are often socially isolated and stigmatized within their communities, thus compounding the challenges of poverty. Stigma and isolation also often result in PWDs being overlooked by development programs designed to help the poor. According to Handicap International, on average 0-0.5 percent of microfinance clients are PWD. In response to this need for greater inclusion, Trickle Up, a U.S.-based organization working with the world's poorest and most vulnerable, has made it a priority to engage PWDs broadly in our programs in West Africa and Central America. As of 2011, 14 percent of participants in our global program were affected by disabilities. 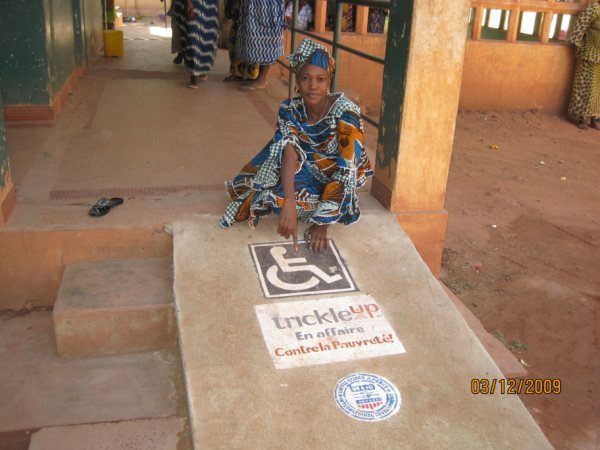 In 2009, Trickle Up launched Stronger Voices, Sustainable Livelihoods, a USAID-funded project to enable 800 Malian PWDs to have a more active voice and role in their communities. From Trickle Up's field office in Mopti, a town on the border between the northern and southern regions of Mali, we provided participants with the tools to build livelihoods that grew their income, skills and self-confidence. We also helped establish savings groups to help create solidarity among the members while also allowing them to save and access credit for their livelihoods. These groups were eventually able to obtain legal status in Mali, enabling members to engage in advocacy work. After months of organization and advocacy, IDPWD came around on December 3rd, and the participants were excited to celebrate their successes in bringing greater attention to the needs of PWDs. 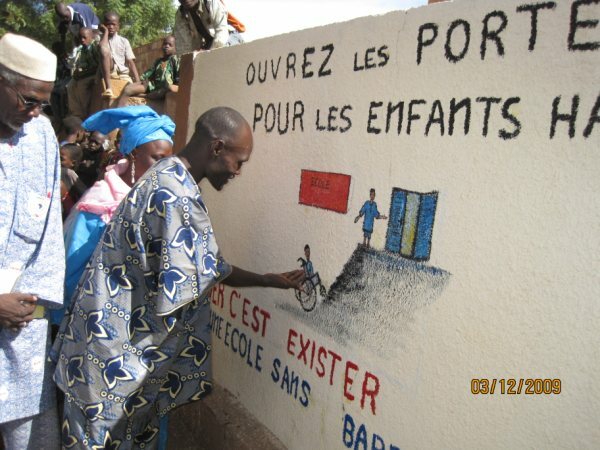 This included engaging local government officials and raising awareness about the need for disability inclusion in Mali. Activities included parades through the streets of Mopti, the installation of an access ramp at the local government office and interviews on television and radio networks. 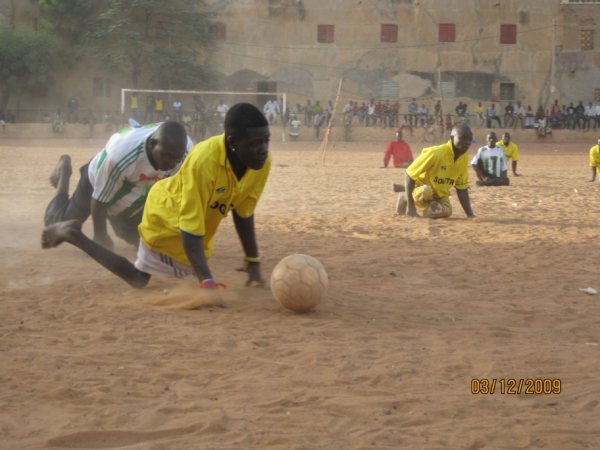 In a country like Mali that is full of avid soccer fans, the most exciting part of the day was the soccer tournament participants held in the center of Mopti. 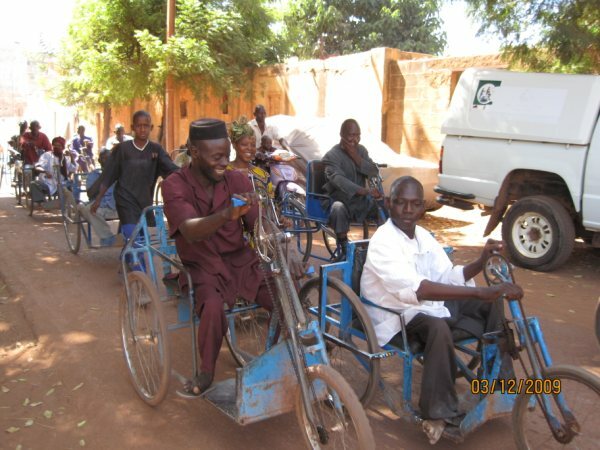 Two PWD associations took part, Siguite Te Mogo So (He Who Seeks Finds) based in Mopti, and Group d'Appui à la promotion des personnes Handicapées (Support for the Promotion of People with Disabilities) from Sevaré, a neighboring town. With regional government officials, representatives from the Ministries of Social Development and Labor and Training, local and national media, as well as the people of Mopti coming out to watch, this one event probably did more to break the barriers of misunderstanding and stigma than any other. After all, the spectators, many of whom were likely amateur soccer players themselves, were watching PWDs play with excitement and skill. After an exciting 90 minutes and with a score of 5-2, Siguite Te Mogo Son won and was awarded the cup by Mr. Sidi Bocoum, the representative from the Ministry of Social Development. Almost a year after IDPWD 2009, Trickle Up president Bill Abrams was able to visit Mopti to witness the progress being made. To him, one of the most reaffirming moments came when he was introduced to Mamadou Diarra, the city's governor, who exclaimed "Everyone knows about Trickle Up, about the work you do with people with disabilities!" When people come to his office, they notice the access ramp outside with a disability access and Trickle Up logo painted on it. They are also reminded of the soccer match held by PWDs the previous year. 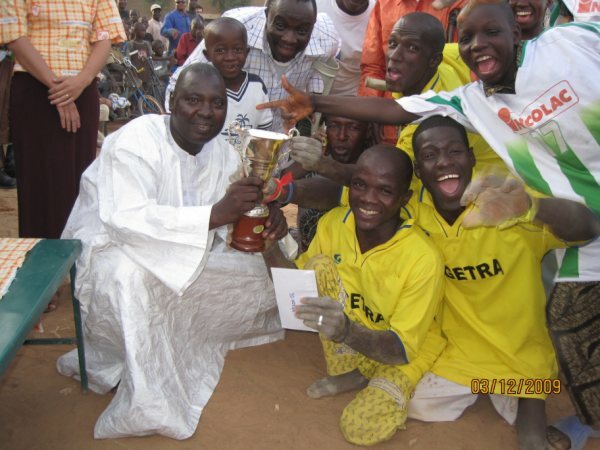 By capitalizing on the universal appeal and excitement that sports can bring, PWDs in Mali were able to transform themselves from dependent and voiceless individuals into advocates for themselves and their communities, or, as we like to call it, the "golden goal" of change.